Here at Bracknell minibus hire, we offer a variety of services for groups of people who are interested in seeing the area. 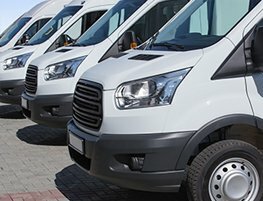 We provide different types of minibuses including a 12-14 seater minibus. These vehicles are perfect for slightly larger groups who want to travel together in order to avoid moving in convoy. Hiring a 12-14 seater minibus is also ideal if you are planning on attending a business event in the area. This will allow you to complete any last minute presentations or documentation. Never underestimate the importance o space when on the move. It makes sense to hire a vehicle with one or two extra seats, for group members to move around and carry onconversation with different members, for some members to drop down and relax, to maneuver with thir laptops, and more. Our Bracknell minibus hire service offers highly compact, yet spacious and comfortable 12 seater minibus for hire. These vehicles are very popular. These vehicles have ample space for luggage, but in theeventuality your group is travelling with excessive luggage, we can also arrange to attach a trailer. Our ever helpful customer support team is always ready to take care of any requirements you may have.